There have been crazy scorelines aplenty on day 2 of the 2015 US Open. 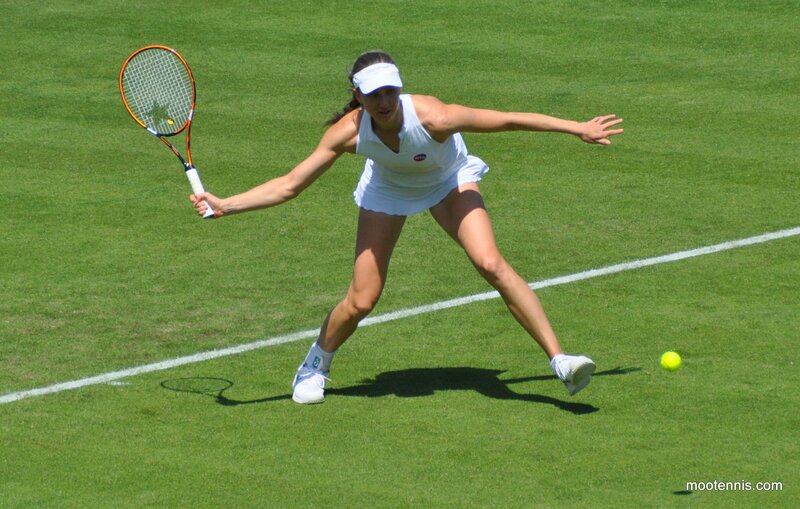 In one match, Olga Govortsova defeated Irina-Camelia Begu in a classic WTA scoreline, 6-1 0-6 7-6(3). Another wacky one, which I got to watch some of, saw Mona Barthel beat Tsvetana Pironkova, recovering from 5-7 2-5 down to somehowwww win, 5-7 7-6(4) 6-1. Pironkova needed eight set points to win the opening set. It was a wacky set befitting of this match as Barthel had served for the set at *5-4 after Pironkova had raced out into a 3-0 lead. There were plenty of swings in momentum in this one! In what would be the final game of the set, Barthel saved a string of set points with daring winners, while also getting some help from Pironkova at the same time. Barthel couldn’t get enough first serves in though to save the set. Barthel was clearly struggling with the heat and during one game in the second set, was barely running for balls. Barthel started just swinging at the ball for fun and playing very aggressively. She worked her way back into the match as Pironkova seemed to lose focus and could not capitalise; the Bulgarian player failed to serve out the second set at *5-3 and then lost it on the tiebreak. In the final set, it was Pironkova who was struggling with barely anything on her serve. Barthel, still looking far from energised, kept the ball in court and hit a lot of winners, particularly on return. While she was nonchalant for much of the match, I think I saw a fist pump from Mona in the final set! My stream disappeared before the end but Mona served out the match to love. I was expecting some more drama but Pironkova was done. I think it was heat, she mentioned on FB about the tough conditions but didn’t go into detail. All in all, a very good win.